Are you one of those smart motorists who are dedicated to raising driving standards? Do you believe in increasing your driving competence and skills? Do you know why vehicle drivers make use of fog lights in fog? Well, driving safely is the need of today's competitive era. All vehicle owners are well aware that today's roads demand superior judgment and more skills to make your way. This is particularly true in hostile weather conditions. 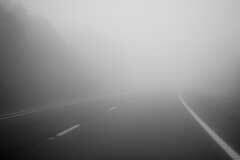 When it comes, to driving in severe climatic conditions, fog is the most challenging aspect for any driver. Driving the vehicle through fog is really dangerous. This unsafe meteorological condition is seen particularly during autumn or spring season. Fog lights are meant to increase vehicle safety. In poor visibility conditions, fog lights not only improve your visibility but also tell others about your presence. There are various changes in the traditional transportations with the technological advancement. Nowadays, vehicles come well equipped with the various lights that make our task relatively easy. 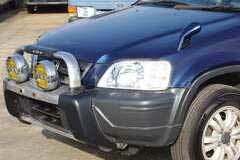 By using various lights including taillight, headlight, fog light etc. one can drive vehicle safely in dangerous climatic conditions. While driving in fog, the driver should reduce car speed and switch on auto headlights. Most of the cars today feature a switch, which turns on auxiliary rear fog lamps that are extra bright. Unfortunately some cars do not have this important safety feature. While driving in fog, one should not rely on parking lights only. This is particularly true in daytime fog as these lights do little to improve your visibility. Never make use of your emergency flasher. It is seen that many drivers flash light without any reason. It is always suggested not to turn off your headlights in deep fog. Many motorists think that headlights may interfere with forward visibility of the driver. However it is true to some extent. It is essential to keep in mind that auto headlights are the only part of automobile, which are prominently seen by drivers at a distance. In addition to this, a driver should not stop in the middle of a roadway. If you are unable to drive vehicle, you must get your vehicle completely off the road. Many drivers use the right edge of the road as a guide instead of the center line. This helps them not to get distracted by headlights or to run into oncoming traffic. It is essential that the driver should think about what other motorists see when he or she is behind you. In addition to this, one must always use windscreen wipers and defroster in foggy conditions. It is obvious that many drivers turn on fog lights in mist to improve their visibility and tell other motorists that the vehicle is on road. In other words, fog lights are meant for increasing your safety in severe climatic conditions where you cannot see other vehicles on road. Poor visibility can lead to crashes and unwanted incidents. Therefore, every vehicle driver should take care about this. Enjoy safe driving now!